Following Regeneron’s announcement that the FDA issued a complete response letter (CRL) regarding its supplemental Biologics License Application (sBLA) of the 12-week injection dosing for Eylea (aflibercept) in patients with wet age-related macular degeneration (wet AMD), the labeling issue will likely heat already anticipated competition with rival Novartis’ new wet AMD drug, brolucizumab. “Frequent administration has been a long-standing issue associated with the otherwise effective anti-vascular endothelial growth factor (anti-VEGF) injections for patients with wet AMD. Roche and Novartis’ anti-VEGF, Lucentis (ranibizumab), is injected into the eye every four weeks according to the label, while Eylea, jointly marketed by Regeneron and Bayer, is approved for intravitreal (IVT) injection every four or every eight weeks. 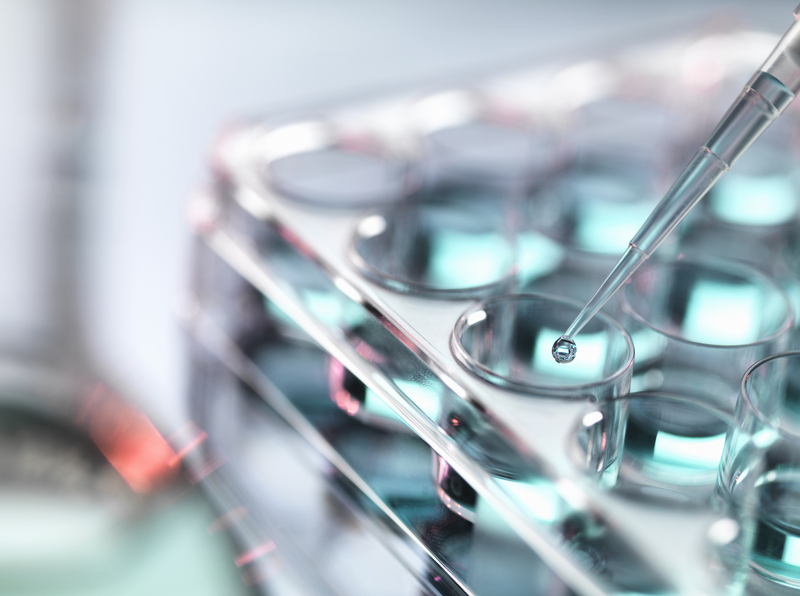 “However, according to Key Opinion Leaders (KOLs) interviewed by GlobalData, both drugs are currently used in line with the treat-and-extend (TAE) protocol rather than in fixed treatment regimens. The reason for this is that each patient requires more or less intensive anti-VEGF therapy with either of these drugs regardless of their label instructions. “In the TAE, a patient’s retina is first cleared of macular fluid and retinal hemorrhages with a series of monthly injections of the chosen drug, usually for the first three months, and then the interval between treatments is extended usually by two weeks at a time for as long as the retina remains dry and stable. Based on GlobalData’s high-prescribing physician surveys, this means that on average Eylea is injected six times per year compared to about seven Lucentis injections per year in the US; revealing a marginal difference between the two in this respect, leaving one of the biggest unmet need of requirement for less frequent anti-VEGF dosing partially addressed. 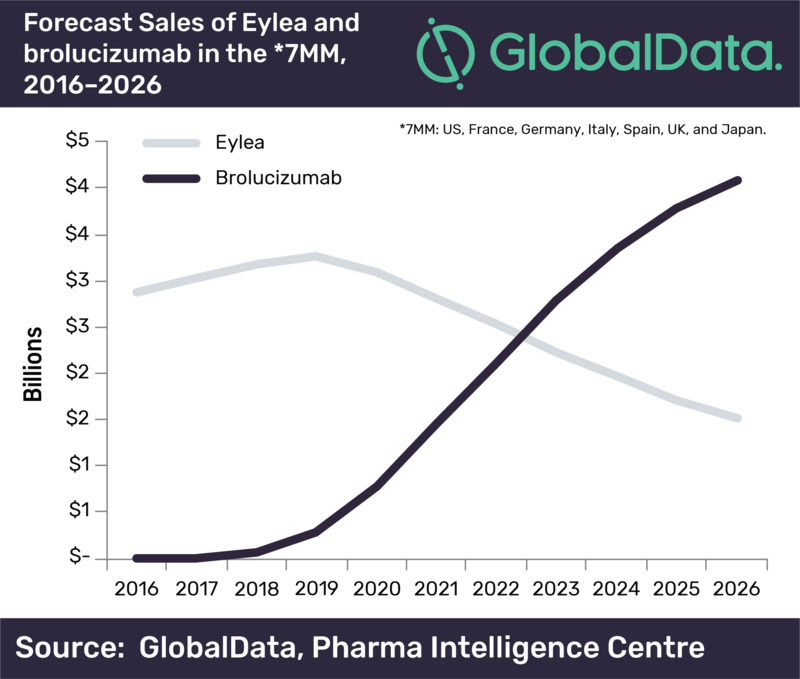 “Nevertheless, based mainly on its slightly less frequent administration, Eylea seem to have become the preferred choice, outselling Lucentis by about $1bn in 2016 for wet AMD in the seven major markets (7MM*), according to GlobalData’s report: ‘Age-Related Macular Degeneration: Global Drug Forecast and Market Analysis to 2026’. “Considering Eylea’s success, brolucizumab, which proved non-inferior efficacy in the Phase III HAWK and HARRIER trials when administered in 12-week dosing schedule compared to Eylea injected every eight weeks, is bound to be an attractive drug for physicians to reduce injection frequency using the TAE protocol. Besides its high-level of reliability for patients to stay on the 12-week dosing regimen, additional benefits of brolucizumab were observed in the Phase III trials over Eylea, including greater reduction in central subfield thickness (CST) and fewer patients having retinal fluid at 16 weeks, which may also add to its competitive edge over Eylea. * 7MM: US, France, Germany, Italy, Spain, UK, and Japan.